London Heathrow International Airport, is one of the busiest airports in the world, with a huge amount of passengers passing through it each day. Due to the sheer volume of passengers that arrive and depart from Heathrow Airport each day, Heathrow has to be able to accommodate all the passengers who need somewhere to stay whilst in transit. Whether you are travelling to Heathrow on business or leisure and require a hotel close to the airport, you will not be short of choice. There are many different types of hotels located near Heathrow Airport, that offer a wide range of different facilities for their guests. The hotels around Heathrow Airport range from basic one star rating through to luxury five star rating, that cater for all requirements and budgets. 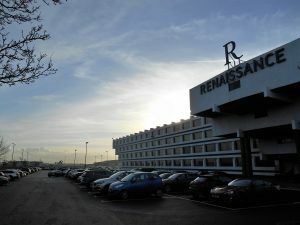 A popular choice with many passengers flying from Heathrow Airport are the ‘Hotel and Parking’ packages, that several of the hotels close to Heathrow offer. If you are planning driving to Heathrow airport and require Airport Parking, then a hotel with parking package may well be your most cost effective option. The Hotel and Parking packages at Heathrow Airport, offer you a accommodation, as well as allowing you to leave your car either at the hotel or a designated car park, for the duration you are away. For Example: If you were flying from Heathrow Airport on a Tuesday morning and were away for 7 days, you could arrive at the hotel on the Monday evening and stay at the hotel that night. You would then park your car in the designated parking area and then collect your car on your return, 7 days later. this would all be for a set cost for both the hotel room for the night and the 7 days parking. There are now 4 terminals and London Heathrow Airport and they are know as T2,T3,T4 & T5. If you are flying to or from Heathrow Airport, your airline will obviously arrive or depart from one of the four terminals. Staying at one of the hotels closest to the terminal to you are flying into or departing from is much more convenient. Heathrow is a very big airport and getting from one terminal to another can take a while. However, the ground support system that is in place at Heathrow Airport is very efficient and makes your transfer from one terminal to another very easy. Although there are no hotels actually onsite that provide direct access to Terminal 2, there are a number of hotels that are located very close to Terminal 2 at Heathrow Airport. 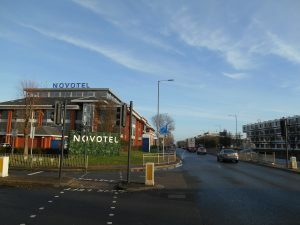 The majority of hotels that are close to Terminal 2 at Heathrow, are located on Bath Road, which runs adjacent to the airports runway and Northern Perimeter Road. Due the their location and proximity to the airport, they all provide the perfect base for passengers to stay after a late night arrival or before an early morning departure. Terminal 3 at Heathrow is located quite close to Terminal 2 and all the hotels on Bath Road provide good connections to Terminal three as they do for Terminal 2. However, there are also Day Rooms available ‘Airside’ in No1 Lounges in Departures after Security at Terminal 3. The Day Rooms are a convenient option for any passengers who have a connection flight and have over three or four hours between connections. The Day Rooms offer both Twin and Single rooms and have en-suite facilities, which mean they are perfect for getting a few hours rest and a freshen up before your next flight. Hilton London Heathrow Airport. These two hotels are definitely the most convenient hotels to stay at if you are arriving at or departing from Terminal 4. However, for this convenience, hotels onsite with direct links and access to Terminal 4 at Heathrow, will obviously come at a premium and the prices for rooms at these hotels are higher. There are also several hotels located on The Southern Perimeter Road and also Great South West road, that are generally cheaper. As we mentioned earlier, all the Terminals at Heathrow Airport are connected by a great round system, so if your budget does not stretch to the prices commanded by the onsite hotels, then staying at one of the hotels on Bath Road is not a problem. 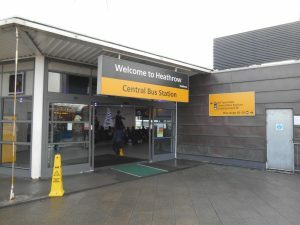 Terminal 5 at Heathrow Airport also has a hotel Onsite, that provides a direct link and access to the airport Terminal. The luxury 5 star Sofitel London Heathrow hotel, is the fantastic choice of hotels at Heathrow Terminal 5. Once again, the Sofitel Hotel at Heathrow is certainly not the cheapest choice of hotels close to Terminal 5 but if your budget allows you to stay there, you will not be disappointed. As with Terminal 4, connections from the bus station at Heathrow Airport are good and if you are looking for a cheaper hotel near Heathrow Airport, then staying at one of the many hotels located on Bath Road or Great South West Road, would not be a problem. You can connect through Terminals easily and still ensure you find a hotel to suit your requirements and budget. Everybody’s requirements and budgets are different and if you are looking for a cheap and cheerful place to stay that is near Heathrow Airport, then there are plenty of option to choose from. Although there are many large hotel chains situated around Heathrow Airport, there are also many smaller hotel chains, as well as budget hotels and small independently family run hotels. The smaller budget hotels don’t offer as many facilities as the larger 4 & 5 star hotels but still offer clean and comfortable accommodation that are perfect for a one or two night stay and more importantly, that are easy on the pocket! As we have mentioned previously, the majority of hotels close to Heathrow Airport, are located on or just off Bath Road. Bath road is a major dual carriageway that run alongside the Northern perimeter Rd of London Heathrow Airport, that also provides access by road to the airport. The majority of major hotels along Bath Road and around Heathrow Airport offer airport shuttle transfers but many of these transfers do cost money. The hotel shuttle transfer buses, depart from the airport to the hotels at regular intervals throughout the day and also pick up from the hotels and transfer passengers to the airport. The shuttle buses work on a circular system, so you never have to wait long for a transfer. You can purchase tickets from the hotel, at designated machines (in the hotels) and at the airport, as well as on the bus. Tip: Public buses run from Heathrow Airport Bus Station along Bath Road and they stop either outside or very close to the hotels that are located on Bath Road. These public buses are FREE to use to and from the airport! There is a bus station located outside Terminal 2 and you can catch the bus from Heathrow bus station to the hotels along Bath Road and then catch the bus to Heathrow Airport from one of the designated bus stops on Bath Road. We hope this short guide is beneficial in helping you understand more about the Heathrow Airport hotels. Please help others by liking this page.